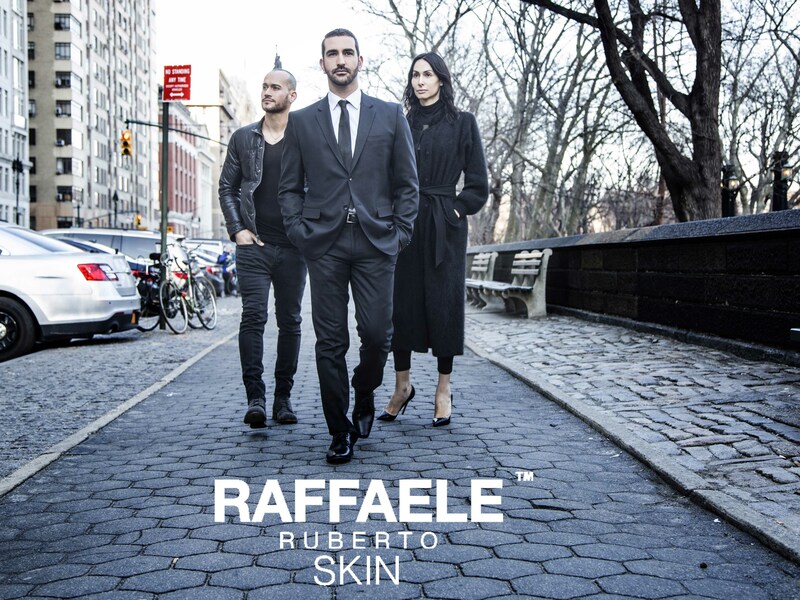 Raffaele Ruberto™ SKIN Launches Spring 2016 Campaign, "An Appointment With The Beauty Biologist". As the world's first contouring anti-aging skincare brand, biologist & founder Raffaele Ruberto spearheads a visually provocative campaign, lending credibility and allure to the company's chiseling and sculpting effect on the face & body contours. "An Appointment with the Beauty Biologist"
"Eternal youth they sought...contours for an eternity I gave them," claims formulator and founder, Raffaele Ruberto. Also known as The Beauty Biologist, Raffaele Ruberto spearheads this visually provocative campaign, lending credibility and allure to the company's chiseling and sculpting effect on the face & body contours. The seductive photo story moves elegantly from scene to scene from "The Encounter," to "The Consultation," to "The Transformation." In "The Encounter" the Beauty Biologist meets his devotees seeking eternal youth in New York's Central Park, where he lures them into his lair. He gives them his coveted elixir of eternally youthful face and neck contours in "The Consultation" scene, in exchange for their unrelenting loyalty. He renders them contoured and chiseled seductive beings in the final scene, "The Transformation." 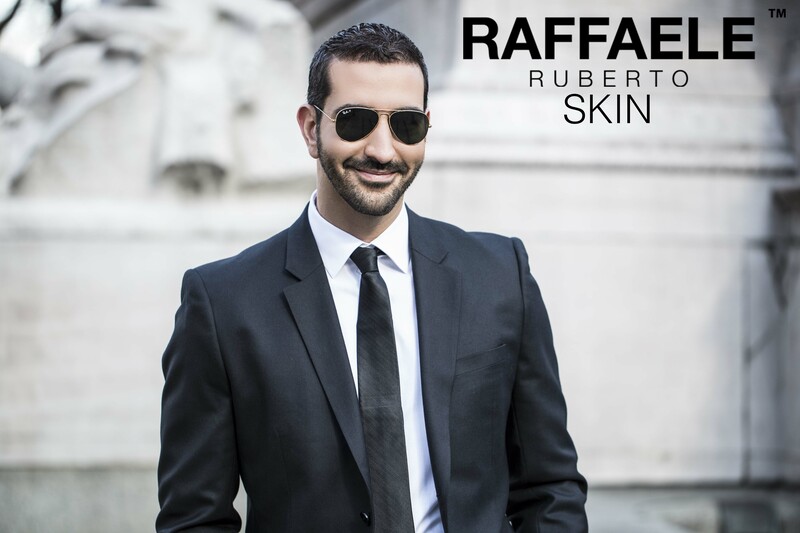 Raffaele Ruberto™ SKIN is one of the most innovative breakthroughs in organic science the skin care industry has seen. With contouring all the rage in the makeup industry, Raffaele Ruberto™ SKIN both INSTANTLY + CUMULATIVELY addresses the top signs of aging, from loss of elasticity, to textural issues like fine lines and pores, as well as hyper pigmentation and puffy eyes. The results are a beautifully restored, contoured face and neck…within minutes. Formulas No. 9 (face & eye), No. 10 (neck & décolleté), and No. 11 (ageless global crème), are an intensive anti-aging supplement to any existing skin care regimen, instantly effective, and are part of the brand's exciting new R-LIFT TRIO. 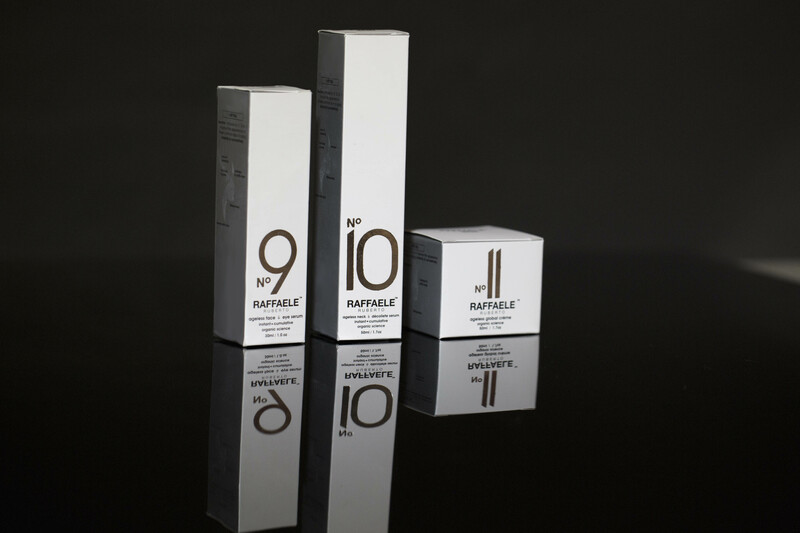 The founder, beauty biologist Raffaele Ruberto, has created a proprietary R-LIFT COMPLEX, which is infused in every product in the Raffaele Ruberto™SKIN brand. 769 experiments later, over 2,000 actives and organic ingredients tested, and over 30 Erlenmeyer flasks shattered…the R-LIFT COMPLEX is here. You are welcome to experience the inimitably age-defying effects of these three formulas in the R-LIFT TRIO. Over 100,000 men and women have already experienced the brand, every single one with positive testimonials.